Tara Cottage is nestled on a magnificent 100 acre working olive grove of River Flats Estate in beautiful Broke Fordwich, Hunter Valley NSW. 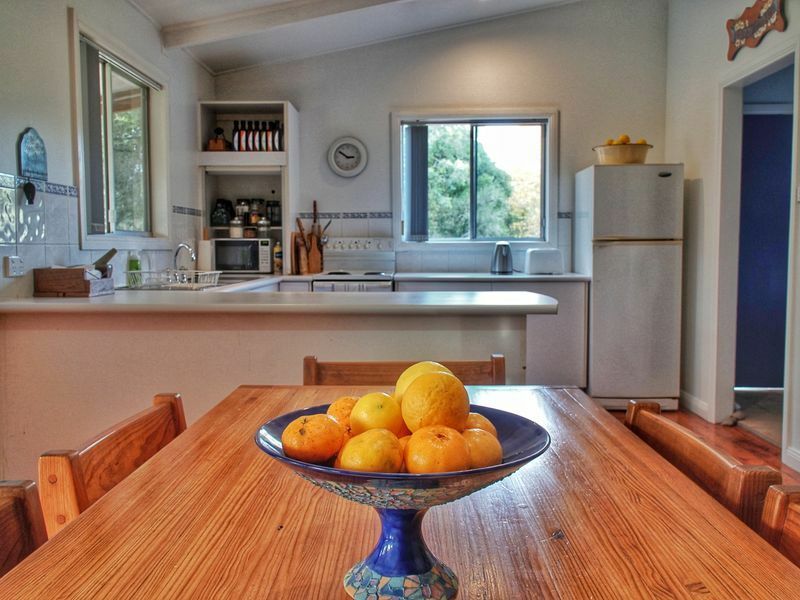 Tara Cottage is secluded on the property surrounded by stunning olives, wineries and Cellar doors. Broke Fordwich is just a short drive from Pokolbin and all the yearly events. Tara Cottage offers farmstay accommodation suitable for families, groups and functions. River Flats Estate is great for kids, visit the animals and our own retail store. During your farmstay, visit our retail shop to purchase handmade and produced on the farm, Olives, Olive Oils, Soaps, Skin Care and Body Products. Enjoy and unwind in peace and quiet with a stroll around the 100 acres amongst 3500 olive trees and beautiful citrus grove. If you would like more information on your booking or to ask further questions about the property please call Marian on 0409 791 063. During the cooler months we also provide warm crackling hardwood for the cosy winter nights around the fire. Bring your great cellar door purchases and enjoy our complimentary condiments during your stay. Tara Cottage has an open plan lounge, dining and kitchen and a veranda to the rear which looks out over the river flats and native bush land. We provide all you would need for a hearty country breakfast including bacon, fresh farm eggs, bread, orange juice, tea and coffee are also provided along with all condiments. Carinya Homestead which is a few minutes stroll through the olive grove is also situated on River Flats Estate. Carinya Homestead can sleep 6-8 guests so if you have a large party of up to 12-16 people we have the perfect solution for you. If you book both cottages you then we have access to a large floodlight undercover central area on the property with BBQ and Pizza Oven plus tables and chairs so all your family and friends can sit under the stars and enjoy a touch of Tuscany in the Hunter Valley. Wonderful hosts! A great house stocked with all the essentials....salt, pepper, bacon, eggs, Olive oils (made on site), sauce etc. Plus handmade soaps in the bathrooms too. The farm had lots of space for the kids to run around. We loved feeding the food scraps and vegetable peelings to the animals on the farm and the baby goats were absolutely adorable! The fire place was great. The only negative was the shower pressure, but at least it was hot! Tara Cottage is the most relaxing environment we have been in for many years. I can't speak highly enough of it's restorative qualities. We have already planned our next stay. Well-kept, country-style house in beautiful, rustic setting. The village of Broke stands at the base of the Brokenback and Hunter Ranges on the Wollombi Brook. Importantly, Broke Fordwich retains its integrity as a rural community remaining free of large scale development yet offering first class B&B and self catering accommodation, restaurants and activities. Visitors to the area are surprised by the amount of wildlife they see. It's rare to visit the area without seeing kangaroos, wombats and a huge range of birds. Taste the delicious treats for the gourmet and innovative cook. River Flats Estate and our retail outlet Pickled and Pitted have a superb range of olives, oils, cheeses, preserves and other specialty items all prepared locally and with seasonal produce. But there is more to do in the Hunter than wine tasting, we have fantastic restaurants, you can play Golf, spend a day at a health spa, visit a chocolate or cheese factory.